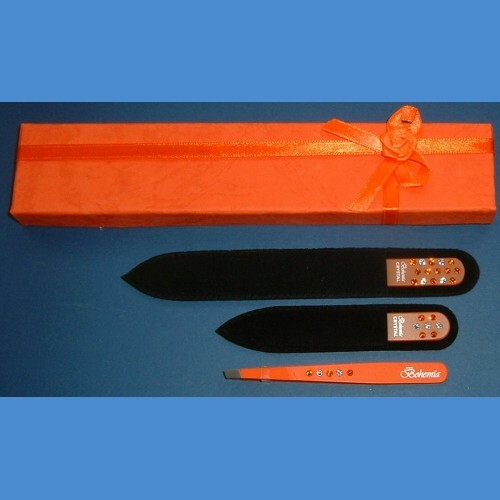 Nail files length 90 mm and 140 mm, width 2 mm, tweezer length 90 mm, all is decorated by Swarovski stones. 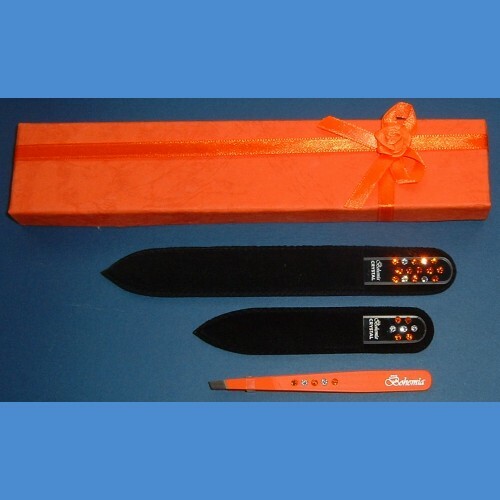 Printing of nail files and tweezers by Bohemia logo, velvety packet and gift packet. 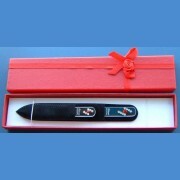 French tweezer is made specially for BOHEMIA company only. 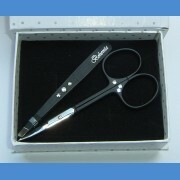 Tweezer length 90mm with very accurate contact surface. The tweeter´s surface is modified to not to slide in hands. Delivered wih BOHEMIA printing. Suitable for beauty parlours too. The tweezer´s surface cen be desinfected by spray desinfection.